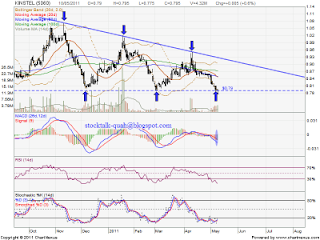 KINSTEEL is forming decending triangle. As today, 10 May 2011 reversal candlestick been formed at RM0.79 support level. MACD histrogram indicator been turn GREEN color. Stochastic %K do trigger a buy call. May predict it might retest upper line of triangle (strong resistant). 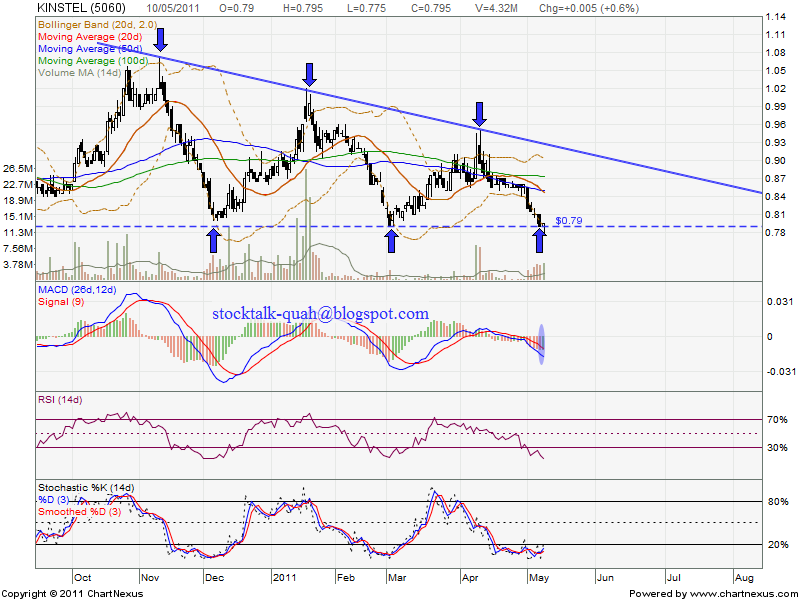 However, if retrace down, it will retest strong support which is RM0.79 level.